Resolute, successful and elegant, Frances Draper moves through life without actually touching it. Her constant companion and business partner, Samuel Tanner, enjoys a ‘hands-off’ relationship that suits them both—for their own individual reasons. Frances moves to a new apartment that is in the perfect location; it overlooks a beautiful park that is located near her place of work. Perfect as it is, there is a feeling of uneasiness on Frances’s part that she cannot explain. Melbourne’s Concert Hall is the only place where Frances lets down her emotional barriers. She is totally absorbed by the beauty of classical music but it releases tears that she is aware of - but not of their cause - and memories too painful to face. Originally created as a movie-length screenplay, I subsequently adapted the storyline into a novel. This book sat on the back-burner for a number of years and has now been released as an e-book available through Amazon. You'll also find it on all major online bookstores. Finally, the project is finished! If you'd like an autographed copy, then get in touch via my contact page. Swiss actress, Irène Jacob, inspired me to create the character, Frances, in my book Fugue. This is a photo I took from my TV screen when I saw her appear in 'Three Colours Red'. Funny how a face can remain stuck in your head. 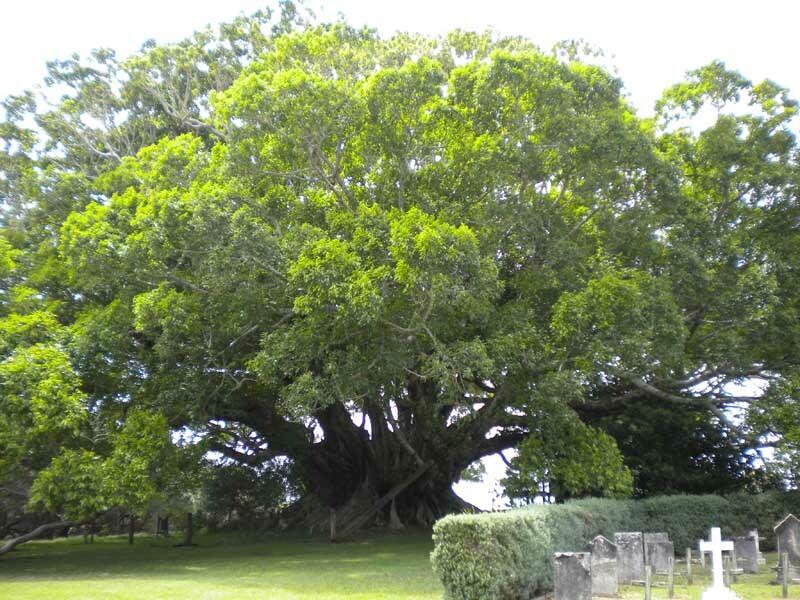 This remarkable Morton Bay fig tree was the other source of inspiration for Fugue. It's located behind the St Barnabas Chapel on Norfolk Island. You can actually sit down inside the tree where the branches meet in the middle. A great place to read books! And you see how huge it is. It's worth travelling to Norfolk Island to see it - not to mention everything else on the island.